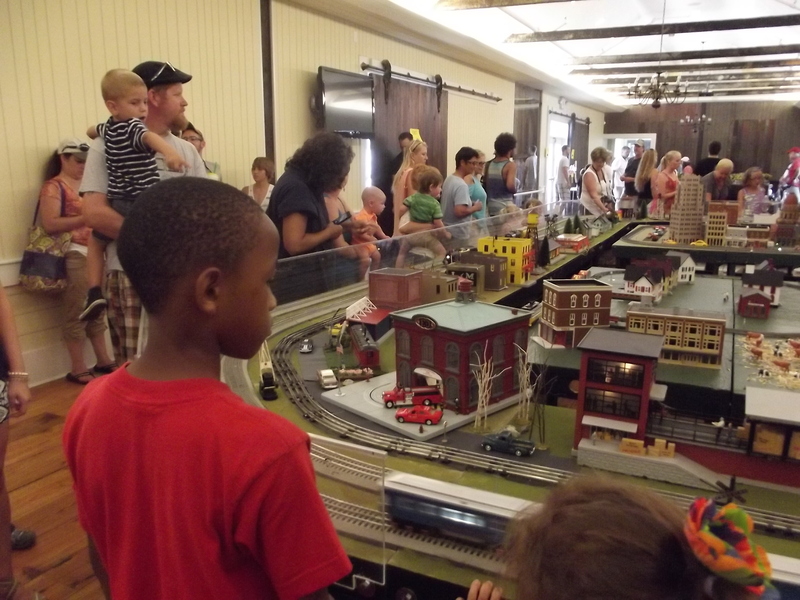 There was a common denominator between the hundreds of people who came to Saturday’s opening day of the Carolina Coastal Railroaders show and the trains they came to see — both were all ages and sizes. 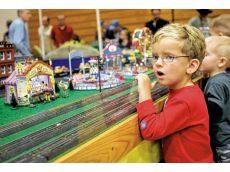 The 16th annual show, which continues today at New Bern High, featured a lobby full of vendors with any possible train or accessory. Inside the gym, there were 10 layouts — complete with detailed miniature scenery — and trains of varying sizes and historic reference. Nic and Juanita Nicastro come from Newport to the show each year and walk away with memories and bags of trains and parts. 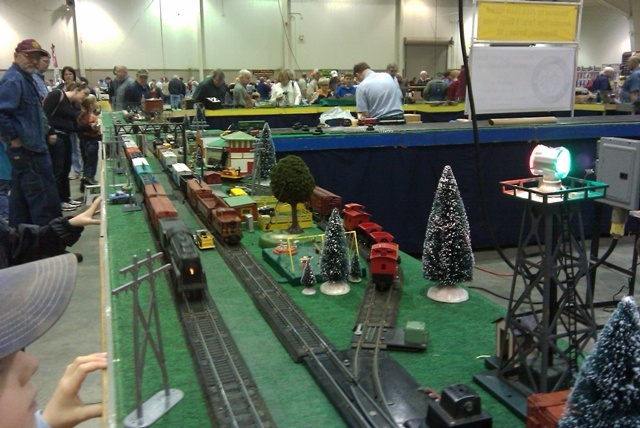 He had trains as a child and when the couple started a family in the early 1970s, they wanted trains for the children. He saw a want ad for trains for sale, so he bought six two-foot-square boxes. The Nicastros were off and running as collectors. Juanita said that while collecting trains that date to the 1900s, it had given her a sense of watching changes in the way American manufacturing has changed over the years in production and materials, from tin to injection plastics. The Stusse brothers are still in the early stages of train love, with wooden trains that they have to push around the tracks. “But, they build new track every day,” said their mother, as the three boys pointed and intently watched larger motorized miniatures in front of them at the Garden Railway Society’s layout. Piedmont Farmers’ Market, Inc. is a 501-(3)C non-profit corporation owned and operated by a Board of Directors that is nominated from the slate of market members to serve 3 year terms. The market was created to serve the community by providing locally grown, fresh, high-quality produce and products, and to provide an economic outlet for local farmers, producers, and artisans in Cabarrus and surrounding counties of North Carolina’s piedmont. Come meet the grower! 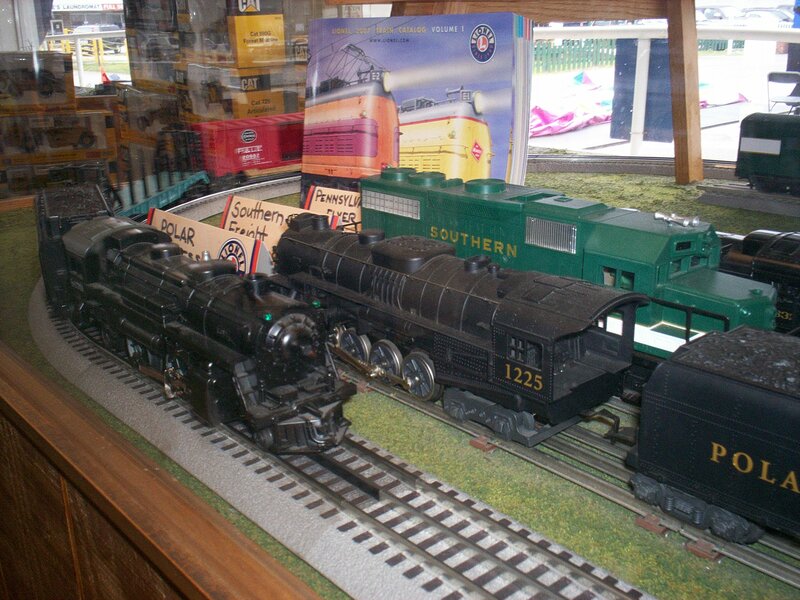 Triad Live Steamers Inc. is a non-profit organization dedicated to preserving the lore and history of railroading with large scale model trains. 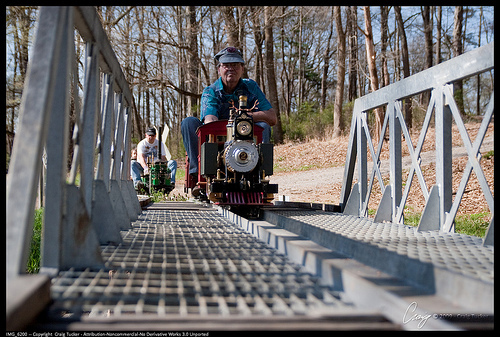 The railroad and its equipment is for both children and adults alike to enjoy and ride on. You do not have to own any equipment in order to come and enjoy the club or to join. Visit: http://www.triadlivesteamers.com or check out some pictures from their Boiler Day on Flickr!